The Neapolitans claim the fit is like a ‘second skin’. Neapolitan tailoring is softer and more of a natural fit than American tailoring. A large concentration in traditional tailoring stems from the ethic that is taught and learned in the Gulf of Naples for generations. Neapolitan tailoring represents effortless style and MADE TO: is on a mission to bring back that authenticity. The lack of shoulder pads and additional chest padding allows for a lightweight garment that wears close to the body, giving the wearer the utmost mobility from the high cut arm-holes. 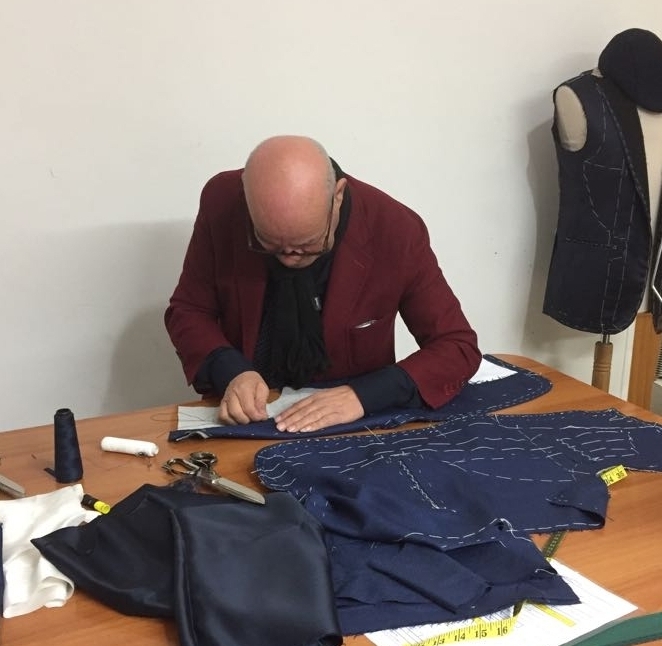 All our jackets are lightly lined in the traditional Neapolitan way, with high cut arm-holes, wider lapels with a higher gorge, and mappina shoulders. All our trousers feature pleated skirt waistbands, side-adjustors, and button-fly. All our shirts feature hand sewn rotated sleeves, side gussets, crows-foot stitched buttons, and use a soft canvas in the cuffs and collar.